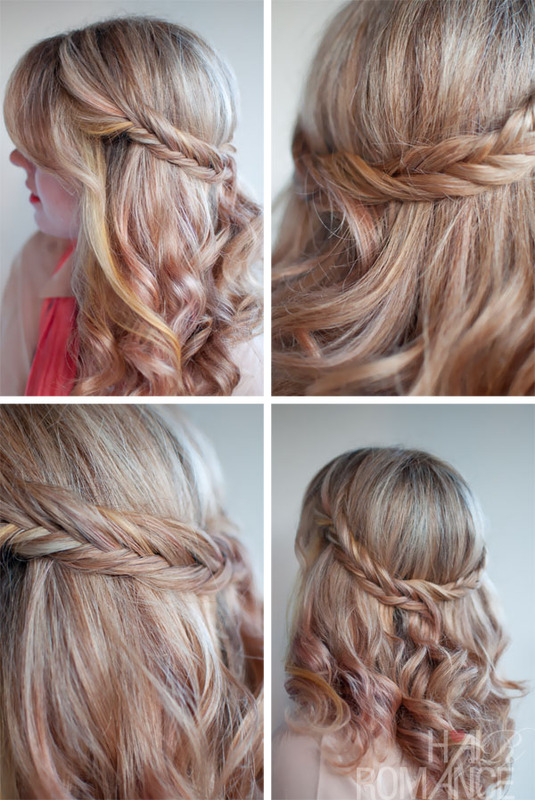 Latest popular wedding hairstyles: the loose curly fishtail half crown hairstyle. This beautiful style is often seen in engravings of medieval women, but our version is completely contemporary! The trend-setting highlights in shades of blonde, a touch of pink and contrasting dark roots accentuate the lovely waterfall effect perfectly! From a side parting, the hair was cut into a long fringe which drapes prettily over one eye for an asymmetrical look. At each side of the parting, the hair is braided into loose plaits kept fairly flat to produce a pretty circlet finishing in loose ringlets at the back. The rest of the hair is loose around the shoulders and back falling into a stunning V-shaped cascade of loosely curled ringlets! 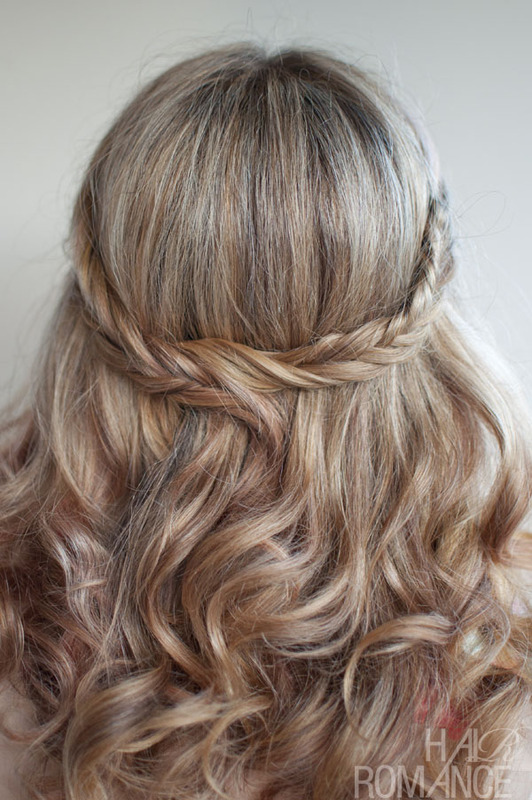 Do you want to know how to style this Romantic Soft Curly braided Fishtail Crown? You can find out the tutorial in this exciting ebook 30 Braids in 30 Days. This cool hair style book has 80 pages of all tips, tricks, cheats and techniques at your fingertips. Inside you’ll also find the how-to instructions to the essential braids of this series such as the Dutch braid hairstyle, Waterfall braid hairstyles, Classic braids, French braids, Fishtail braid and the Hair Romance signature Twist & Pin technique. Check it out here. Under: Popular Hairstyles Cool! Fashionable Boy Cut for Women You May Love!